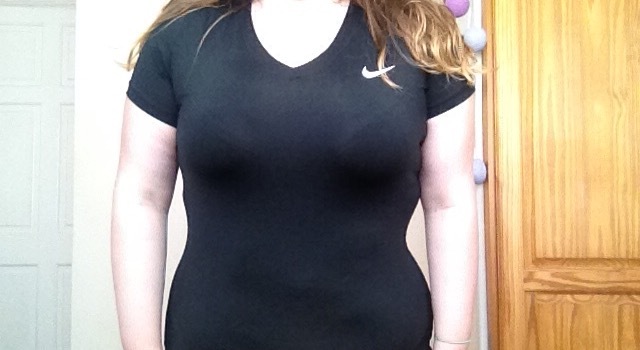 I bought the Nike top in a size XL which is around a 16-18 I believe. A lot of sweat absorbing gym tops are a bit tight so I was expecting that. When it came I tried it on and I was really surprised with the fit! It is a little tight, but I was fed up with my loose vest tops I’d been wearing and I wanted to wear something mor figure showing so I was excited for this. It is soft, stretchy and you can tell it is made with high quality and care. The V neck also makes it look great, and I love the little details that it comes with like the Nike tick on the breast, and DRI – FIT logo on the side. When used during my workout, it quickly absorbs sweat so you don’t get cold after your workout but does ride up slightly and I found myself pulling it down somethimes. 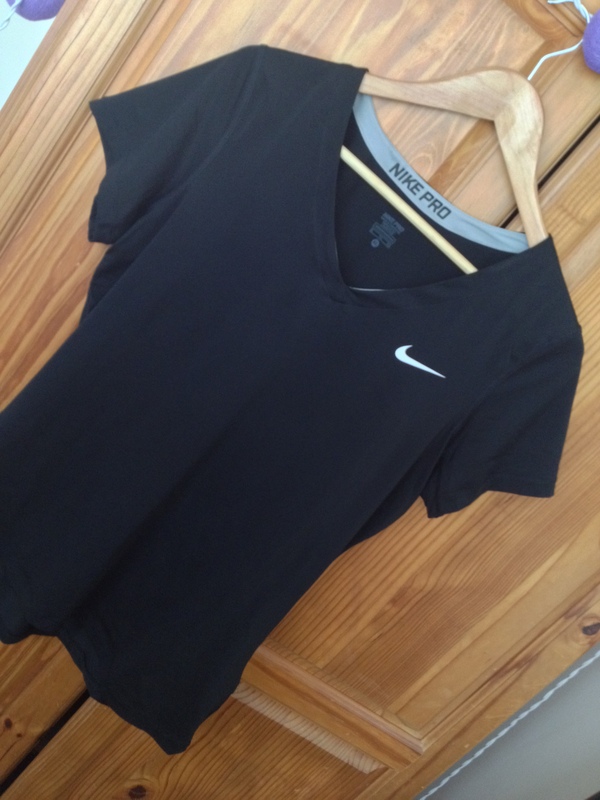 Other than that it is a great workout top and looks really professional and stylish! 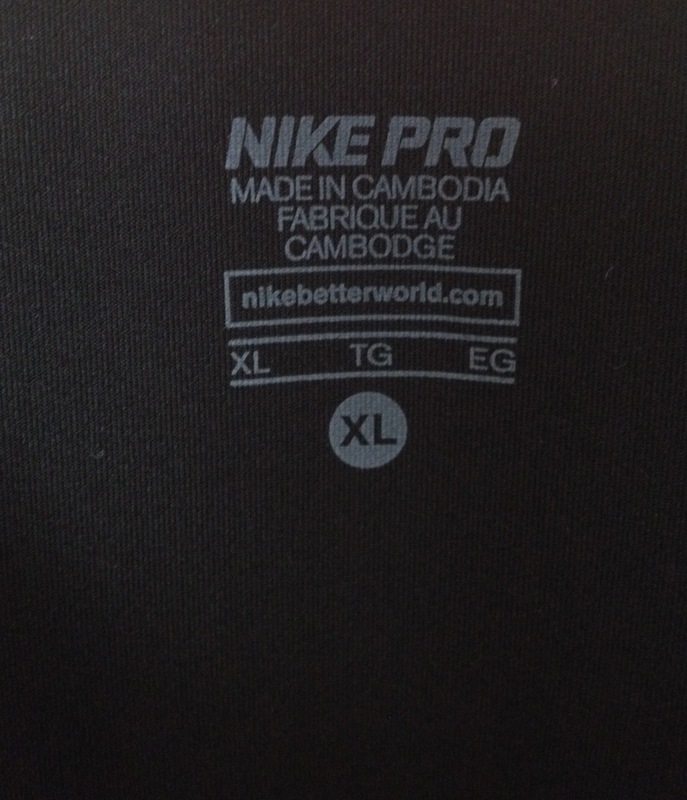 On the Next site, XL is the biggest they do so they don’t really cater for plus sizes unless you’re a 18 and under but it is stretchy. Overall a pretty decent top for workouts. But the sizing isn’t very generous and you could get larger sizes elsewhere. However if you’re a Nike fan like me this is a great choice!